A valuable baseball card, a sinking ship, a distant planet, and vampire tales fill this fast-paced time-travel story. Brian has felt guilty ever since he destroyed his father's rare Honus Wagner baseball card at the age of four. When the opportunity to acquire a magical time-traveling bracelet presents itself, Brian and his best friend Paul jump at the chance. Using this fantastic device they warp back to the doomed Titanic, the distant reaches of the universe, and a castle in darkest Transylvania in a breathless chase for one of the world's rarest antiquities. 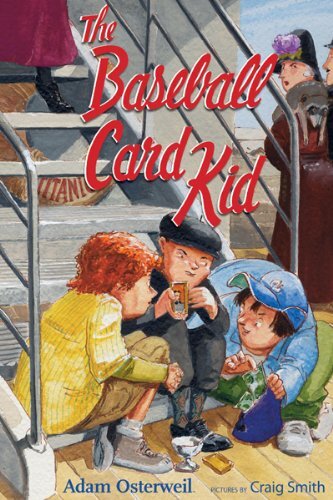 Can they make it home with the million-dollar baseball card and make Brian's father happy again?